The health of a small business isn’t measured by sales or revenue alone. Employee retention is an important indicator of business stability. The Bureau of Labor Statistics reports that 3.6 million employees quit voluntarily last year. How many of them quit your company? In some instances, an employee quits for a reason that is unrelated to working conditions. For example, they move out of state. Or they decide to leave the workforce until their newborn reaches kindergarten age. Clearly, you can’t control everything. But 3 out of 4 employees quit their jobs because of workplace conditions. Let’s talk about what you can control when it comes to lowering employee turnover. As it turns out, a lot. 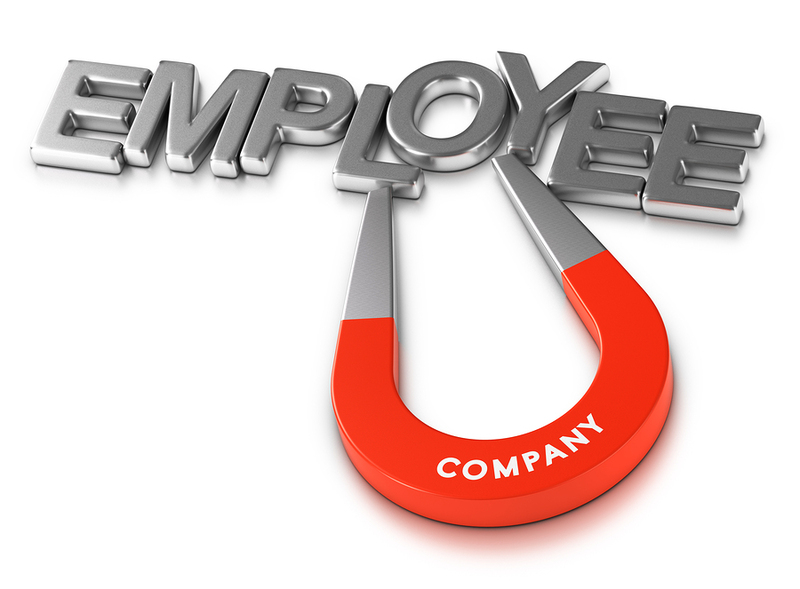 This article contains 8 proven strategies for improving employee retention. Businesses of all sizes can use these tips to quit-proof their workforce. Your managers are the front line in the battle to retain talent. Make sure your managers follow best practices. Codify them in your employee handbook. Incorporate them in your manager training. Why don’t more business owners talk to their veteran employees? They possess a goldmine of information. Find out why they stay. Duplicate conditions for other departments. Discover what their managers do differently. Teach it to all your managers. You probably don’t train your managers to disrespect their team members. Hopefully, they don’t criticize or belittle the men and women they manage. But many employee scheduling practices show disrespect. Changing a schedule at the last minute is exasperating. Failing to post the schedule in advance doesn’t allow employees to plan their lives. How can you expect an employee to stay if they can’t schedule their family responsibilities, school, or recreation? Does your business have part-time workers who work shifts of varying lengths? This is an ideal opportunity to improve retention. Allow your employees to submit their schedule preferences. Use a scheduling system like TimeSimplicity to accommodate those requests. Your employees will be happier. You will have less absenteeism and tardiness. Your managers will be happier because TimeSimplicity is ahead-of-the-curve scheduling, and even more so when compared to spreadsheets. You can even go a step further. Allow them to handle their own shift trades. HR portals like WorkforceHUB from SwipeClock let employees swap shifts through an online exchange. Managers can approve or reject the trades. This is all done without phone calls or texts. Employees will think fondly of their job every time they see your company’s workforce app on their phone. They may value this perk above other considerations because it let’s them have control. Managers who train their new hires effectively should be able to step back. Give your employees the autonomy to succeed. Make sure they have effective tools. Haphazard training is directly linked to high turnover. Software like WorkforceHUB helps managers develop and optimize training programs with secure document management and employee onboarding. Your entry-level workers don’t want to stay in the mail room or call center forever. These jobs can be as high-stress as any executive-level position. Is there a future for them at your company? Do they know how advancement works? Most people want to gain new skills and experience. Employees who can envision themselves moving to a better-paying position are more likely to stay. Do you reward ambition at your company? WorkforceHUB with history tracking and record management can help you create a baseline for performance and improvement. The first tip was to talk to your long-time employees to find out why they stay. The express purpose here is soliciting employee feedback and then acting on it. Ask your employees how you can improve working conditions. You may be surprised at their answers. Though you can’t grant unreasonable requests, you can make a good faith effort. My manager won’t listen to my ideas. My boss is too preoccupied to discuss my issues. I don’t get enough feedback about how I’m doing. Management always thinks they are right. Instruct your managers to swallow their pride and take action. Be proactive about your company’s core values. Emphasize it in onboarding. It is just as important as the new hire tax forms. Hammer it home during training. Spend as much time discussing values as job duties. Keep it top of mind with an ongoing employee engagement program. Lead by example. Acknowledge and reward employees who exemplify the corporate values. We already talked about how flexible scheduling supports work/life balance. Do you have a work at home policy? Why not? If you have positions that could be performed at home, consider allowing employees to work at home occasionally. Not all employees want to, but many do. Some companies reward high-performing workers with remote shifts. This is a benefit that doesn’t cost you anything. It may work out so well, you can let them work remotely all of the time. There are benefits in addition to lower turnover. When you recruit for a remote position, your hiring pool expands considerably. If you shift many positions out of the office, you may be able to move to a smaller building. Reduce your building overhead in the process. Employers who are ahead of the curve pay attention to Human Resources. They recognize how critical the HR experience is. Convenient, hassle-free administration creates an atmosphere of competence and innovation. Employees welcome the convenience of handling HR functions on a centralized portal like WorkforceHUB by SwipeClock. They access time and attendance, scheduling, payroll, benefits enrollment, and more. TimeWorks Mobile lets them complete HR transactions anywhere. Self-service HR makes life easier for managers, as well. They can create schedules, approve time cards, and monitor time and attendance. Auto-confirmation alerts let supervisors when staff members have completed processes. SwipeClock has tools designed for the express purpose of lowering employee turnover. For more information about how employee-centric Human Resources improves retention, visit WorkforceHUB.